The Veggie Wagon in Carolina Beach has always been a favorite spot to get some delicious North Carolina hand crafted beers. 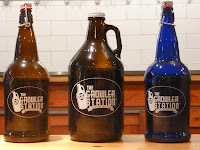 Now, with the passing of recent legislation in North Carolina, we are able to get our growlers filled at the Wagon too! Currently, they are rotating five different beers on tap to keep our taste buds scintillating and happy. If you are not sure what beer to choose, taste a few. The Veggie Wagon hosts “Winedown Friday” each Friday from 5pm-8pm where you can sample the staff’s favorite new local beers and wines. There are quite a few reasons to be excited about this news. We will have a lot of beer to taste! Did you know that North Carolina is home to approximately 84 micro-breweries and brewpubs? At least 55 of these are located within four hours of the coast. This offers up a chance to try specialty, seasonal, craft beers while supporting small business. Many of these micro pubs are in modest towns like Aberdeen, Concord, Mount Airy, and even Wilmington. 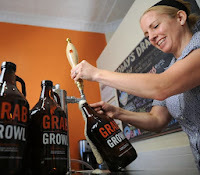 Additionally, filling growlers cuts back on a lot of waste and is actually environmentally friendly! The ability to fill growlers allows us to sample craft beer from breweries that only deal in kegs since they cannot afford to bottle it. Admittedly, we have been spoiled coming from NYC where some of our favorite spots like Malt & Mold and Torst have treated us to the rare and hard to find micro brews in growlers and by the pint for some time. So we applaud the Veggie Wagon for being a pioneer in Carolina Beach and taking advantage of North Carolina’s new law changes. Just a few of the featured local beers you may find at the Veggie Wagon are from Full Steam Brewery out of Durham, Rail House Brewery in Aberdeen or Mother Earth Brewing in Kinston. While reading about local breweries, craft beers, and growlers I ran across some interesting articles that reveal the passion of certain beer lovers like myself. Those who travel and make an adventure of finding small brew pubs and filling their growlers along the way. I enjoyed their stories and you may as well. If you are interested in visiting local breweries in North Carolina, you may find this NC Brewery map a helpful tool! If there are not already enough reasons to come to the beach and stay with us at the Beacon House Inn Bed & Breakfast, we hope to have given you one more. 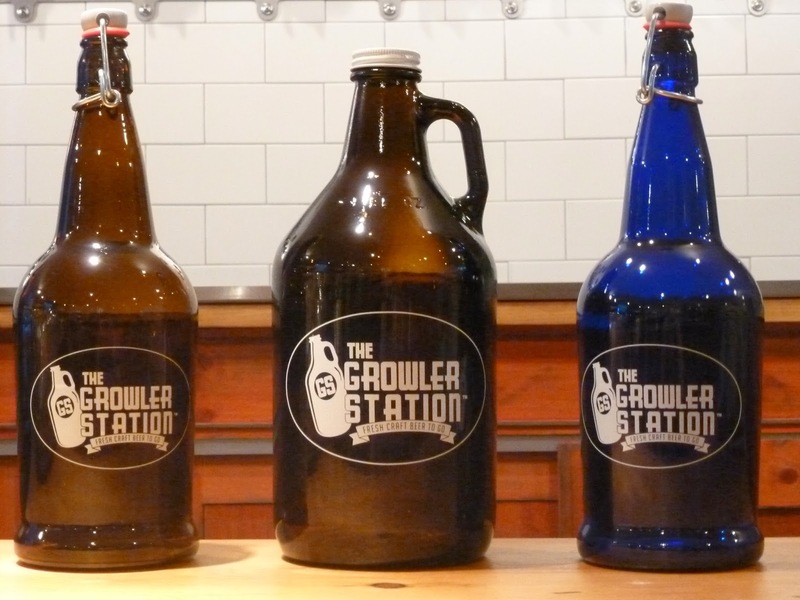 Grab your empty growler and head our way! This entry was posted in Carolina Beach, Craft Beer, Growlers, Local, Malt & Mold, Torst, Veggie Wagon by admin. Bookmark the permalink.